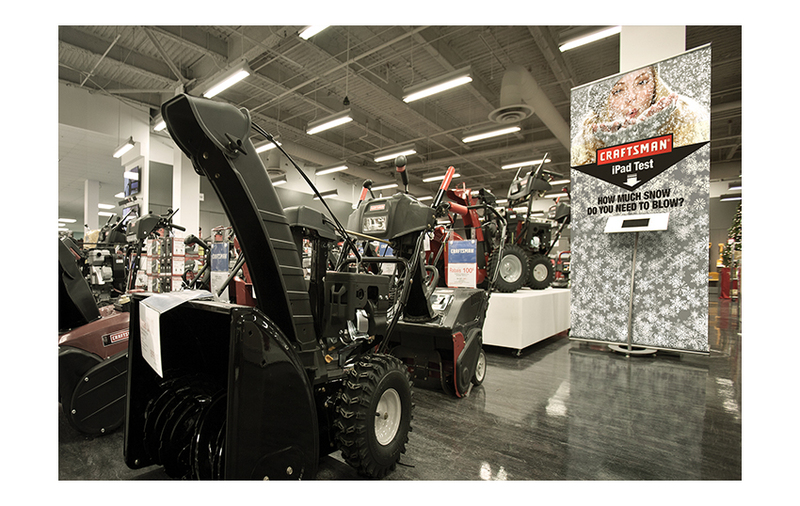 MTD Products Limited: Craftsman Snow Throwers manufactured for and sold exclusively at Sears. Promotional in-store, oversize, display including Ipad podium with Craftsman product selection. Resulted in a significant increase in sales.